Civil society must lead the way and show that there is strong support for bold action by policy makers in Australia’s response the world’s refugee crisis, writes Violet Roumeliotis, CEO of Settlement Services International. The world is facing many challenges as unprecedented numbers of people flee their homes in search of somewhere safe to settle – how we treat fellow human beings should be a top priority. We have all been shocked and saddened by images of people, especially those of young children, who lost their lives while searching for safety in Europe. The images and news of thousands of desperate families struggling across armed borders, huddled together in makeshift shelter or trying to board trains, are near as graphic. These aren’t just numbers, they are people – they are men, women, boys and girls – fleeing horrific wars and persecution. The world is experiencing the greatest movement of people since the Second World War. It’s reported that there are also many people fleeing from economic and environmental crisis. In any circumstance, people generally do not risk their lives to leave a safe and secure home. Australia has always played a big part in accepting refugees from around the world and now more than ever the world needs our support. There is a big role for the Not for Profit sector to play alongside government in relieving this crisis. Civil society must show that there is strong support for courageous action by policy makers looking for humane solutions. Yet there are no easy answers to fix the crisis. Already this year myself and representatives of SSI have attended the UNHCR NGO Consultations in Geneva, where these, and more challenges were discussed along with plans for solutions. This week I will attend the International Metropolis conference in Mexico City, titled “Migrants: Key Players in the 21st Century”. I will join hundreds of academics, policy makers and representatives of civil society organisations working in the areas of migration, settlement and social diversity. The current problems that the world is facing are sure to cast a shadow over the conference. The conference will include research and presentations of case studies and studies from around the world, best-practice policy in immigration and settlement and development workshops. 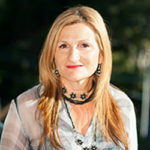 About the author: Violet Roumeliotis is CEO of Settlement Services International and a member of Pro Bono Australia’s 2014 Impact 25. She has an extensive background in advocating for and developing services for vulnerable and at-risk communities and individuals – with more than thirty years’ involvement, in both a professional and voluntary capacity, in human resource and project management. In particular, she has developed specialised knowledge and skills in working with people of a non-English speaking backgrounds and culturally diverse communities, refugees and humanitarian entrants, families in crisis, women and children at risk.